Louise will provide a Free Telephone Consultation (15-30 minutes) to all Divorce Angels clients. Social Worker B.S.W., M.S.W., R.S.W. Louise Wilson Marques holds a Bachelor and Masters degree in Social Work from the University of Manitoba and is a licensed Social Worker with the Manitoba College of Social Workers. 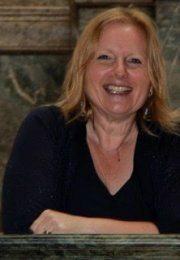 She has clinically practiced as a Social Work Therapist for the past twenty-eight years having worked in Family Services and Adult Mental Health prior to being in private practice for the past twenty-one years. 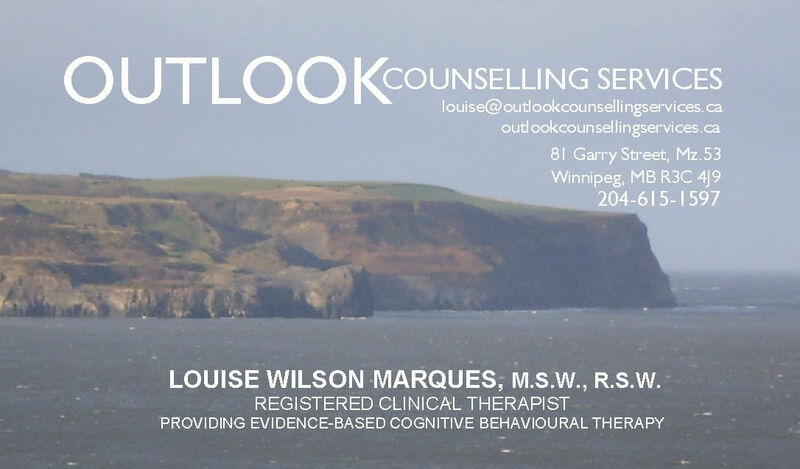 Louise utilises a Cognitive Behavioural approach, which reflects a collaborative counselling process that empowers individuals to connect to and understand self. In the midst of life challenges, individuals often do not realise that they have existing coping skills. Collaborative counselling enhances existing coping skills leading to increased confidence to cope with and manage life challenges. At OUTLOOK, Louise’s service provision is tailored to each individual in context of presenting life challenges. Throughout the counselling process individuals understand that it is possible to learn to live with life challenges (past/present) differently over time. Regardless of how a relationship ends potential hurt, grief, loss and pain exist. Louise acknowledges the potential pervasive impact that separation and divorce can produce. Louise’s role is to listen, learn how each individual has coped to-date and explore options, which may potentially enhance coping and management of own emotions as well as the impacts experienced from others. Louise reminds all individuals of his/her resiliency. While affected and impacted the reality is he/she has coped, is coping and will continue to cope! Louise is available to accept new cases. Louise assists individuals to navigate through the many thoughts, feelings and emotional challenges often experienced in the midst of a separation or divorce. However, feeling overwhelmed is a common experience that often leads individuals to feel that they aren’t or can’t cope. Louise assists individuals to process, prioritize, pace and progressively manage self. She coaches individuals to focus on what they have done and/or are doing in healthy positive ways, thus enabling them to weave in the challenges - which often results in balanced coping. Louise’s intervention focuses on the utilisation of evidence-based tools to empower individuals to enhance coping, confidence, management of self and healthy control of response to others. Louise creates a supportive, non judgmental, caring space that enables her clients to connect to self, understand self and manage life challenges.